Still undeclared Candidate, State Attorney General Andrew Cuomo (D-NY) would CRUSH Republicans in November according to a new Quinnipiac University Survey. 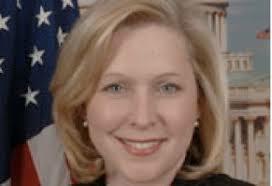 Meanwhile IF after all former Governor George Pataki (R-NY) decides to run he would beat the States Junior Senator Kirsten Gillibrand (D-NY) by 5 Points; Otherwise Gillibrand is heavily favored to win the Senate Special Election this year. “The Dog” keeps arguing with me over “Undeclared Candidates” like Thompson, Rossi or Pataki. 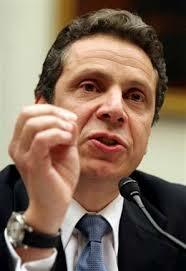 May I ask him why Cuomo hasn’t declared yet? Maybe Cuomo doesn’t want to be Governor? Ha, ha, ha…That’s funny Daniel…..
Meanwhile…… what is Pataki gonna do?………..
I’m not a Gillibrand fan..but she’s got something going on…maybe its politician repellant…nobody….. from both parties….. wants to go at her? 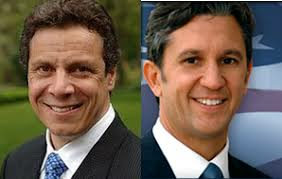 Daniel…..New York Governor & Senate: Cuomo clobbers Lazio & Levy; Lazio leads Levy BIG; Gillibrand still trails Pataki but beats Blakeman; Interestingly Dan Senor wasn't polled?…………. “The Dog” teased this Poll this morning so I’ll just have an more in depth look at the Numbers. A new Statewide Survey in the Empire State shows State Attorney General Andrew Cuomo (D-NY) clobbering his Republican Opposition. What’s more surprising is that former U. S. Rep. Rick Lazio (R-NY) starts out the Primary Election Campaign with a HUGE Advantage over Suffolk County Executive Steve Levy (R-NY) who announced his Campaign on Friday. I don’t buy these Numbers at all. I think Levy will beat Lazio in the end. In the Senate Special Election Incumbent Senator Kirsten Gillibrand (D-NY) still trails former New York Governor George Pataki (R-NY) by 6 Points but beats her Main Republican Rival Bruce Blakeman (R-NY) by 24 Points. Most surprisingly for me is that New York’s Local Pollster left out Daniel “Dan” Senor (R-NY). 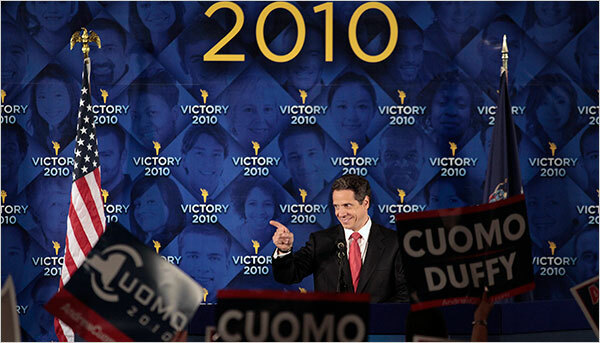 Note: Cuomo has still his Attorney General Campaign Website up but that will change soon. Very surprising they left out Senor. Yea Daniel I agree…He hasn’t declared…… but he’s running….Why was he left out? Keep an eye on Levy….he’s known to be a little bit of a ‘all over the place guy’….and he may not do as well as everyone thinks outside of his native Suffolk County….the fact remains this is Cuomo’s to lose…and with numbers like his (they will go down a bit ) he looks very much like a winner…..
That would be a father son team…like the ….He, he, he Bush’s………. Daniel…..New York Governor & Senate: Cuomo clobbers Lazio & Levy; Lazio leads Levy BIG; Gillibrand still trails Pataki but beats Blakeman; Interestingly Dan Senor wasn’t polled?…………. A divided group of New York State Conservative Party leaders voted Saturday to throw the party’s support behind Rick A. Lazio, giving the former congressman’s troubled campaign for governor a boost as it struggles to hang on to Republican support. The 14-5 vote, while not binding, strengthens Mr. Lazio’s position as he fights off a challenge from Steve Levy, the Suffolk County executive and a Democrat who said Friday that he was switching parties to seek the Republican nomination. Mr. Lazio, who made an appearance at Conservative Party headquarters in Bay Ridge, Brooklyn, just minutes after the vote was taken, used the endorsement of the small but influential party to rebut the perception that his campaign was faltering. Mr. Levy’s campaign sought to play down the significance of the vote, which it characterized as nothing more than a nonbinding recommendation from the party’s executive committee. Mr. Levy, while largely an unknown quantity outside Long Island, has a sharp tongue and a spirited demeanor, and many Republicans say that he could make for a formidable opponent on the stump against Attorney General Andrew M. Cuomo, the presumptive Democratic nominee. Mr. Levy also has more than $4.1 million on hand and has attracted the attention of prominent national Republican political consultants and donors. He plans to hold fund-raising events in Manhattan, the Hamptons and Palm Beach, Fla., in the coming weeks. And leaders of some of the state’s largest Republican county organizations have been defecting to Mr. Levy’s campaign in growing numbers since he declared, loosening Mr. Lazio’s once-firm grip on the nomination. Whether Mr. Levy can secure a place on the ballot is largely up to the Republican county organizations, which will send delegates to that party’s nominating convention in June. Because Mr. Levy’s party switch will not take effect until after the November election, he must receive the support of more than 50 percent of the delegates. Mr. Lazio, as a registered Republican, needs more than 25 percent to get on the ballot. 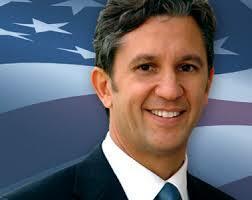 Democratic Suffolk Long Island Steve Levy will switch to the GOP to run against Cuomo….. In a repeat of Mike Bloomberg’s political history..a prominate Long Island New York politician, Steve Levy, is about to switch over to the GOP to run for the New York State Governor’s office…. The hints have e=been there for a while….Levy who is quixotic and has been forever fighting with his country cops and legislators is popular in Suffolk…..but will be facing a well financed and known opponent in Andrew Cuomo…..He’ll put up a fight though….and expect Cuomo’s numbers to come down… but Cuomo will win…..what happens to Rick Lazio? Suffolk County Executive Steve Levy is abandoning the party that reelected him as County Executive last year and will instead announce his bid for governor on the Republican Party line tomorrow, a source close to Levy tells examiner.com. But now Levy has done an about face and according to sources will appear in Albany tomorrow alongside several Republican County Chairs. Former Republican Congressman Rick Lazio is currently declared candidate of a major party, but Levy has the support of State GOP Chairman Ed Cox and significantly more money than Lazio, which may make him appear to be a more viable candidate. But Levy faces one major obstacle that could bring his campaign to a halt long before the September Primary. Under state law, his change in party affiliation won’t take effect until after November, so he’ll need at least 50 percent of the vote at the New York State Republican Party Convention in June. 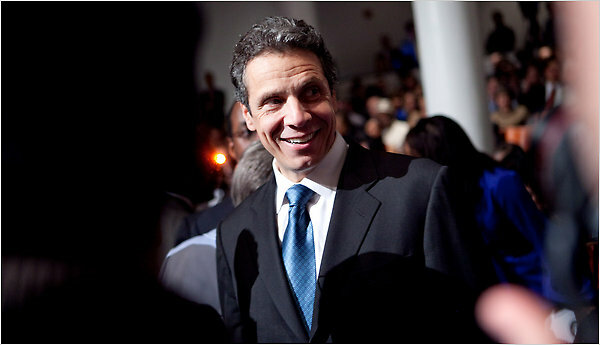 Democratic Attorney General Andrew M. Cuomo is expected to enter the race in the coming weeks and according to polls is the frontrunner, but it’s a long road to November.